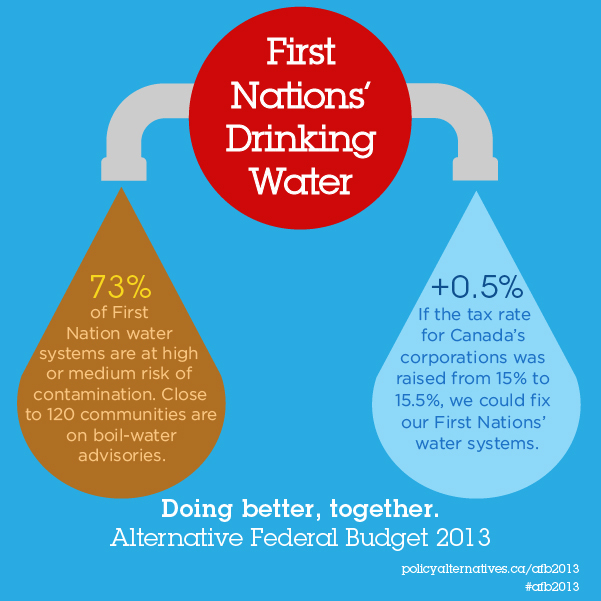 Over ninety First Nation communities and allied organizations sent an open letter to federal party leaders today urging them to prioritize funding commitments to end the drinking water crises in Indigenous communities. The letter reads, “Despite repeated pledges from the federal government to ensure clean drinking water, there are routinely over 100 water advisories in effect in First Nation communities, with some communities living under advisories for over 10 years.” Based on Health Canada and the First Nations Health Authority’s latest figures, there are a total of 162 drinking water advisories in 118 First Nation communities. Last week, Neskantaga First Nation demanded action from federal parties on its 20-year boil-water advisory, the longest running drinking water advisory in Canada. “It is unacceptable in a wealthy country like Canada that almost 20% of First Nation communities live under daily water stress due to lack of access to safe and potable water. This must be a priority for Canada in closing the gap in First Nation health and safety,” stated Perry Bellegarde, National Chief for the Assembly of First Nations. “My Canada includes clean drinking water for First Nation communities; clean drinking water is a human right and must be a priority for any government poised to lead this country,” said Dr. Faisal Moola, Director General, Ontario and Northern Canada of the David Suzuki Foundation. "It's also shocking that there are almost 2000 First Nations homes without water service at all," said Amnesty International Canada Secretary General Alex Neve. "This crisis is the direct result of years of federal underfunding of on-reserve drinking water systems." The signatories include the Shoal Lake 40 First Nation, Assembly of First Nations, Union of B.C. Indian Chiefs, Council of Canadians, Amnesty International, David Suzuki Foundation, Public Service Alliance of Canada, Canadian Federation of Students, Polaris Institute and other Indigenous communities and allied organizations.